We started the process by exploring the needs of the team, shaping the project with Claire Tunstall, Head of Art, Archives and Records Management. I reviewed the materials currently being produced, including their presentations, newsletters and the interpretation written for display cases. I created a bespoke training day to explore ways in which the collections could be used to reach new and broader audiences. 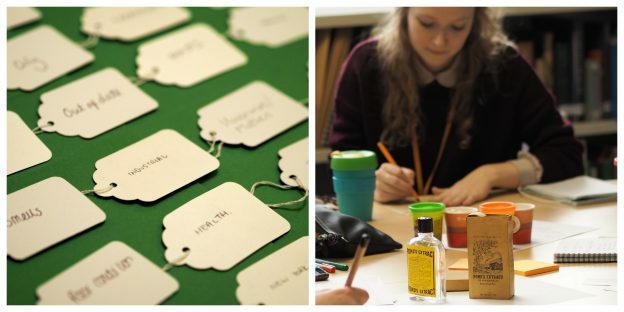 Using a combination of inspiring case studies and creative exercises, the team were introduced to new ways of thinking about the collections, taking audiences as their starting point. This was followed by a guided approach to writing engaging, accessible interpretation for exhibitions. Participants received information packs drawing together the key elements of the day, including links to useful resources and follow up reading. All of this is just marvellous! We all got some much out of the day, you have really inspired us all, gave us great insights and set us up for some brilliant engagement! You should be proud of the effect your training has had on the team – they are actively thinking about the audience and working with each other on this. Totally brilliant. Thank you so much for a very interesting and thought-provoking day. Good to think about different approaches. Concise explanations. Visibly pleasing presentation. Engaging topics, very relatable. Enjoyed seeing other examples of exhibitions and sharing ideas. Had fun with creative exercises. Wish we could do this more often! Absolutely brilliant! I now feel really enthused and inspired to get going on our new exhibitions. All of it was very enjoyable. A very good mixture of visual elements, discussions and tasks (both individually and group).